Adding "antialias" to the font definition(less effective). Adding multiple layers of the same element and position them(more complicated but great). How to make outline smoother? [/quote] Adding "antialias" to the font definition(less effective). Adding multiple layers of the same element and position them(more complicated but great). Anyone know how i can remove the other players on your team text bottom right, i cant seem to find it in classselection.res. Any help is appreciated! 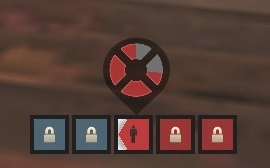 I get same bad textures in MvM when sv_pure 1 is on. How do I fix? NinOrHow to disable this ? [quote=NinOr]How to disable this ? Is there an entry I can edit in hudstopwatch.res/hudteamgoaltournament.res that can get the text for the time to show up? - Where can I edit the Marked for Death Symbol? More specifically, change the pace at which it pulses? I looked in hudanimations_tf.txt, but didnt find anything. - How do I disable the thing above the capture points? So I have another problem, I'm trying to move the freeze panel health below the health cross, but as you can see here, it's overlapping. I tried changing the wide and tall values in "FreezePanelKillerHealth", but nothing changed. EDIT: still need help! The main problem is that the panel is not wide enough, but I don't know what to edit! So I have another problem, I'm trying to move the freeze panel health below the health cross, but as you can see [url=http://imgur.com/hlKBgUZ]here,[/url] it's overlapping. Anyone that knows how I can edit this status thing that tells when the intelligence has been dropped. How do I get rid of these backgrounds that are appearing on the winpanel? Anyone know the file in which i can edit those? This isn't the answer you're looking for, but you can use vgui_drawtree 1 to see what those are named in the WinPanel.res file. This isn't the answer you're looking for, but you can use [b]vgui_drawtree 1[/b] to see what those are named in the WinPanel.res file. Is there a way to get a player's ammo count from a STV? Trying to edit a clip from a STV and I can't think of a way to show the ammo count. 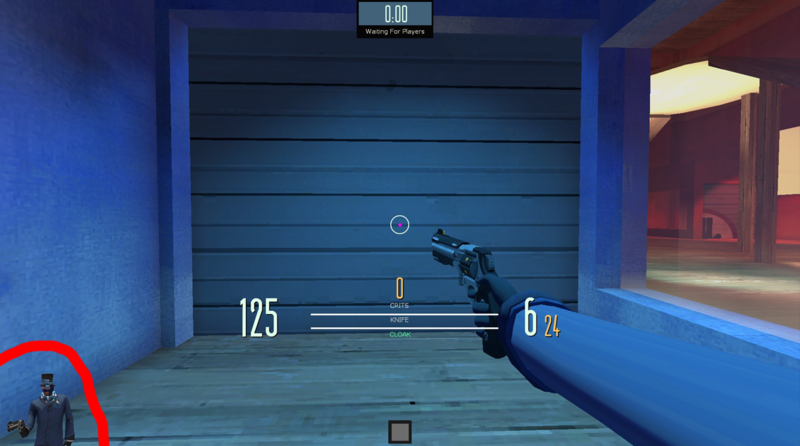 How do I add this self made crosshair to an existing crosshair font file? ninjajiroSo I have another problem, I'm trying to move the freeze panel health below the health cross, but as you can see here, it's overlapping. [quote=ninjajiro]So I have another problem, I'm trying to move the freeze panel health below the health cross, but as you can see [url=http://imgur.com/hlKBgUZ]here,[/url] it's overlapping. Hypnotize ninjajiroSo I have another problem, I'm trying to move the freeze panel health below the health cross, but as you can see here, it's overlapping. The wide value is f0, what should I change it too? [quote=Hypnotize][quote=ninjajiro]So I have another problem, I'm trying to move the freeze panel health below the health cross, but as you can see [url=http://imgur.com/hlKBgUZ]here,[/url] it's overlapping. Teca99Anyone that knows how I can edit this status thing that tells when the intelligence has been dropped. [quote=Teca99]Anyone that knows how I can edit this status thing that tells when the intelligence has been dropped. Bumping this, sorry. Trying to update some HUDs I found in my folder. Hergan ninjajiroSo I have another problem, I'm trying to move the freeze panel health below the health cross, but as you can see here, it's overlapping. What exactly do I need to change? The wide and tall values? [quote=Hergan][quote=ninjajiro]So I have another problem, I'm trying to move the freeze panel health below the health cross, but as you can see [url=http://imgur.com/hlKBgUZ]here,[/url] it's overlapping. b4stian Teca99Anyone that knows how I can edit this status thing that tells when the intelligence has been dropped. [quote=b4stian][quote=Teca99]Anyone that knows how I can edit this status thing that tells when the intelligence has been dropped.